Bold and Whisper arrive at the entrance to White Deer Park, where Bold collapses, exhausted. Whisper goes to find him some food. Crow suddenly turns up. He has followed the foxes all the way back. 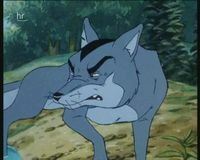 Bold tells Crow he cannot go back inside the park, and as he hides under a bush, he begs Crow not to tell Whisper where he is. When Whisper returns, she realises she has lost her mate, and sadly enters the park alone. Crow offers to feed Bold, but Bold tells him there is no point. Inside the park, Adder bumps into Toad by the pond on her way to get revenge on Scarface. Elsewhere, Charmer and Ranger meet. Charmer asks Ranger how his father is, and Ranger says perhaps it would have been better if Fox had killed him. Charmer wonders if their families will ever resolve their differences. Scarface has recovered from the fight, and gets revenge by killing Mrs Rabbit. She is the last animal he ever kills. 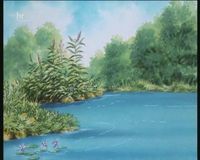 As Scarface crosses the stream to go back to his land, Adder swims underwater and gives him a fatal bite on the leg. After confronting his killer, and vowing he will be avenged, Scarface dies in pain. Adder bumps into the White Stag, who is on his way to speak to Scarface. Adder tells him there is no point. Actionsss sssometimess sspeak louder than wordssss! Adder next bumps into Toad, and tells him that she has killed Scarface. 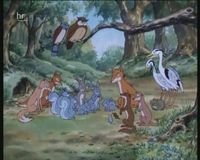 Once an excited Toad has told Whistler and Speedy, the good news spreads quickly through the Farthing animals, though nobody remembers to tell Fox! The delighted animals gather at the stone circle to celebrate, but also sadly reflect on the friends and loved ones that they lost to Scarface. Kestrel spots Whisper in the park, and flies to inform Fox of the stranger. Friendly offers to go and find out who she is, and Charmer goes with him as she is meeting Ranger anyway. Friendly, Charmer and Ranger find Whisper, who tells them she is Bold’s mate. Charmer asks where her brother is, but Whisper sadly says that she does not know. Suddenly Adder turns up to tell them she killed Scarface, then spotting Ranger, decides to make herself scarce. Charmer and Ranger go to the stream where Lady Blue has found Scarface’s body. Please try to forgive Adder, Charmer begs Ranger. Let it end here. Ranger does not reply, but goes to comfort his mother. Meanwhile, Whisper meets Bold’s parents and tells them that Bold has gone off to die, and also that they are about to become granparents. Fox and Vixen leave Whisper with Friendly, and head for the park entrance. 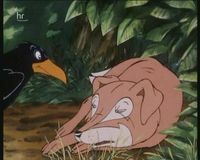 As the celebrations continue inside the park, just outside Fox and Vixen meet Crow, who leads them to their dying son. Fox tries to make peace with his son. I’m sorry I was hard on you. Forgive me? You’re the bravest fox I’ve ever met, I’m proud of you. Bold manages a smile before breathing his last breath. Vixen is heartbroken. Charmer and Ranger turn up, and Charmer tells Fox that Adder has killed Ranger’s father. Fox finally gives the young foxes his blessing, and they run off into the park together to start their new life.